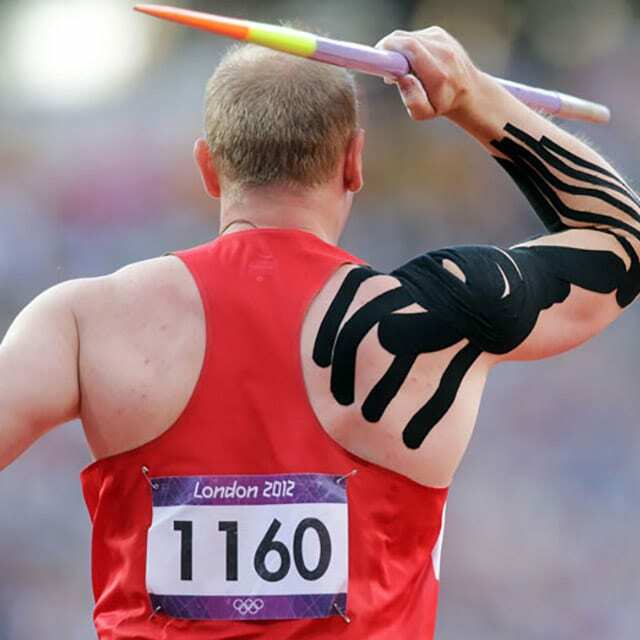 Kinesio Taping was being used in Toledo, OH for several years in our office before it came to prominence during the Summer Olympics in 2008. During the Beijing Olympics, people who watched the Women’s Beach Volleyball matches noticed something big and black on the right shoulder of Kerry Walsh. 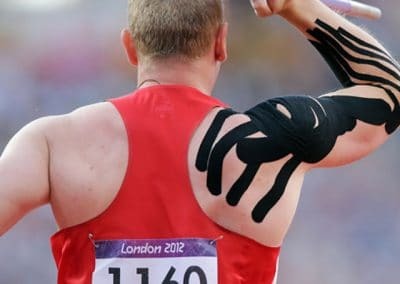 Many people thought it was a tattoo, but it is actually Kinesio Tape. 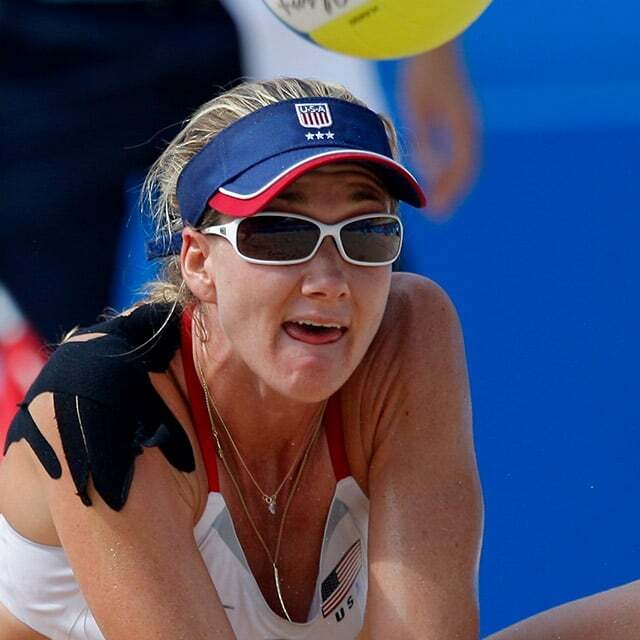 In May 2008, she had surgery for a torn rotator cuff and despite having pain in her shoulder, she and her partner Misty May-Treanor won the gold medal. 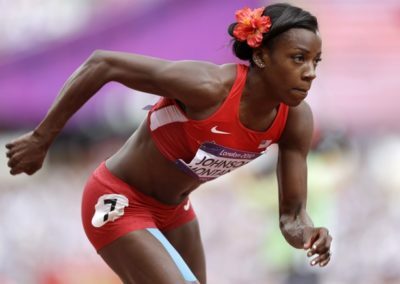 In fact, she wore it again in 2012 when they won gold again. 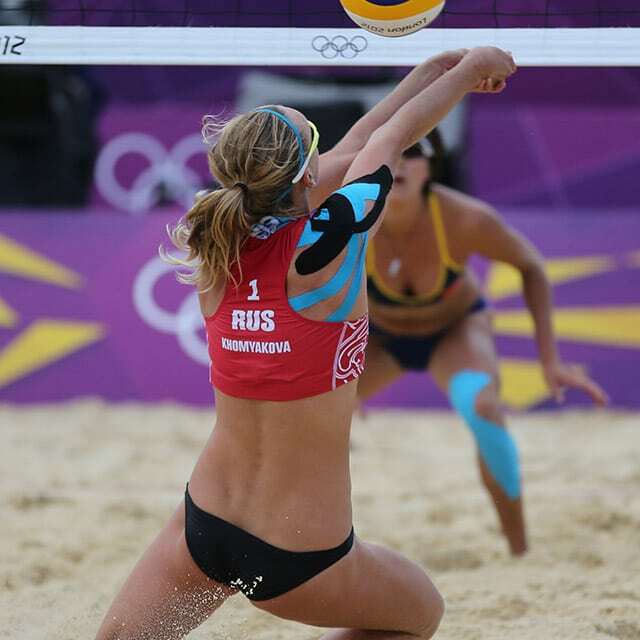 In fact in the last three Olympics, Kinesio Tape has helped the Gold medalists in Woman’s Beach Volleyball to play and win. One of the main properties of the Kinesio Taping Method is the ability to assist and support muscles without inhibiting a joint’s range of motion, unlike traditional athletic taping. 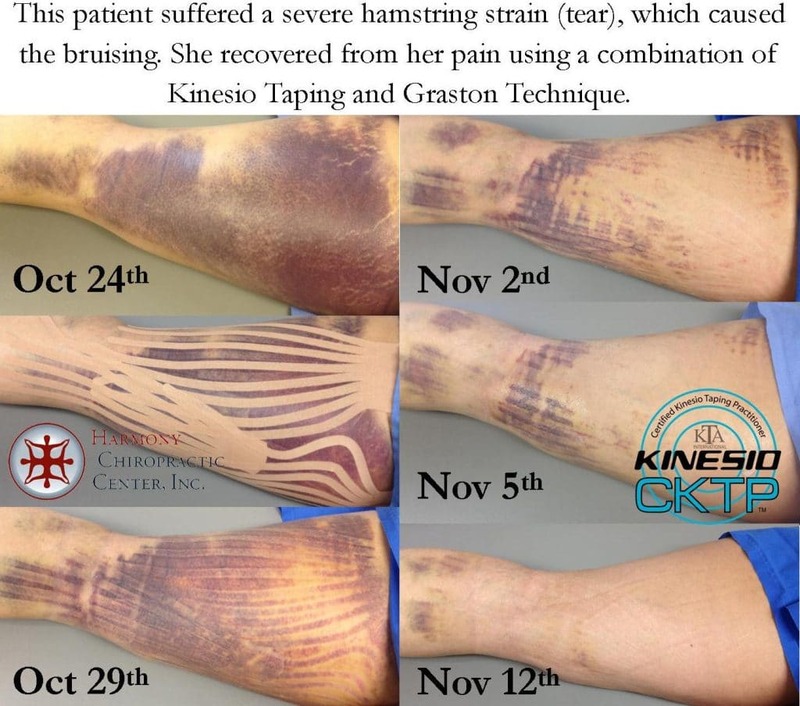 Kinesio Tape can be applied in several distinctive approaches to achieve specific outcomes in an athlete or a patient and can be left in place for several days. While Kinesio Taping was originally developed for use in athletes, Dr. Bryan D. Royer utilizes it to treat all types of patients. Kinesio Tape helps to relieve acute and chronic joint pains while increasing the joint’s range-of-motion and decreasing inflammation. Kinesio Tape can help support muscles by improving the contraction of weaker muscles as it supports the alignment of the joint. Certain techniques can increase the circulation to and from areas of the body. 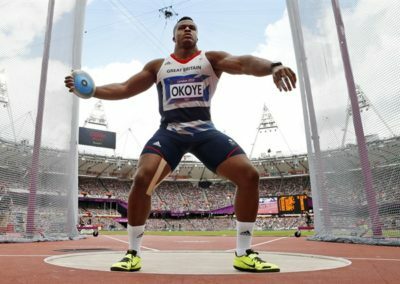 Kinesio Taping is has been getting recognition and being used by top athletes as the Beijing Olympics showed. 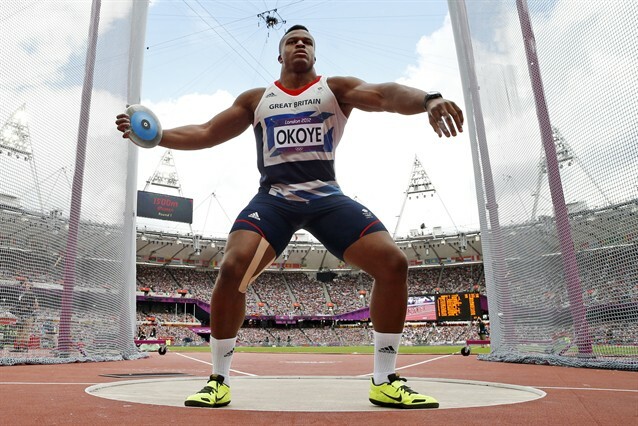 Multiple athletes from the Olympic Games used Kinesio Tape as well as notable athletes such as Serena Williams, David Beckham, and Edgerrin James. Click the images below to see some examples. Kinesio Taping can help remove swelling and pain associated with bruising by increasing circulation and removing congestion in the area. Lymphatic correction techniques are used to “lift the skin” and create decreased pressure to allow lymph to flow and drain the bruise. The first picture is of the buttock of a patient who fell off of her horse and landed on the jump and broke it. This patient normally take a while to heal from bruises and this bruise would have lasted well over a month. She was taped the day after her fall using a lymphatic correction technique to increase lymph drainage at and around the bruise. The pain disappeared within a few days. The next picture is major bruising from a hamstring tear suffered while working out at an extreme bootcamp style fitness establishment. After being fatigued during a workout, she was made to sprint near the end and partially tore her hamstring. The extensive bruising covered the entire back of her thigh. 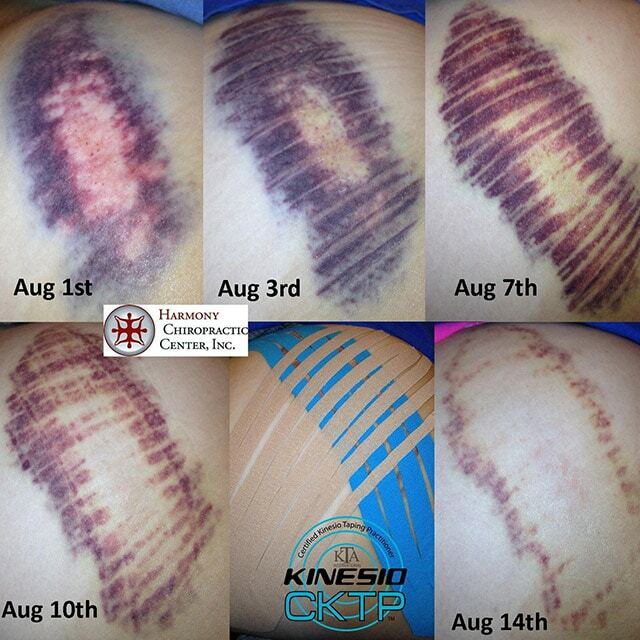 Kinesiotaping helped to decrease the pain in her thigh by reducing the bruising and swelling within a few days. 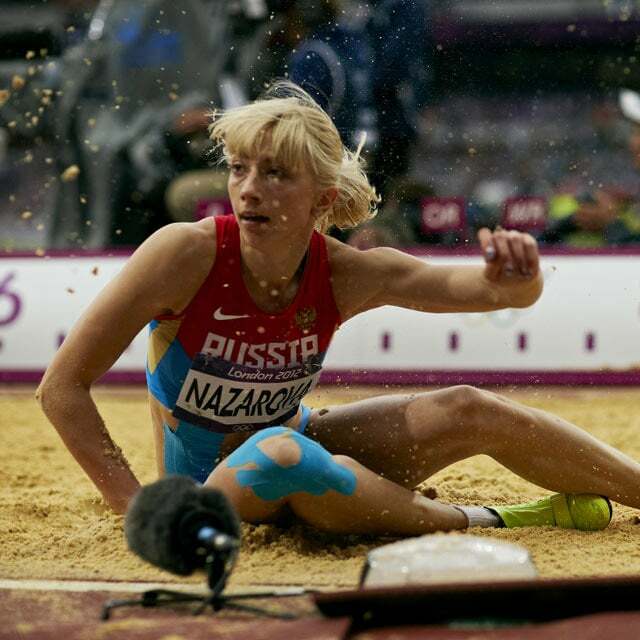 She was able to recover and gradually return to working out with the help of Kinesio Tape, Graston Technique and proper rehabilitation exercises. Next is the picture of the right thigh of a patient after she fell on the ice and slammed her thigh into a post that was sticking out of the ground. She came in to see Dr. Royer three days after her fall and a lymphatic correction technique was applied to increase lymph drainage at and around the bruise. The picture is four days after initially applying the Kinesio Tape and only seven days after the fall. You can see the tape was applied in several small strips that were fanned out over the bruise and that the center of the bruise is already clearing up. If this is not proof that Kinesio Tape increases circulation, then I don’t know what would be. For more information about the history of the development of Kinesio Taping, please click here.